I create ceremonies that can transform and heal and as a writer, actress, and singer I can combine these skills in my ceremonies. My journey to becoming a Celebrant started when I took my first funeral at 19 years of age. From a young age, I have been blessed to work with many mentors of different faiths and spirituality helping me to gain great knowledge, experience and understanding of different ways to take ceremonies. I was delighted to train to a very high degree with FoIC (Fellowship of Independent Celebrants) as a family celebrant and I am NOCN certified. 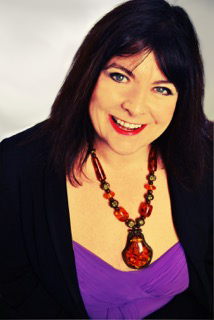 Although based in Sussex and London, I am a Global Celebrant, traveling nationally and internationally often. Whether it is an elaborate wedding or an intimate gathering over a single candle, when the right intentions are set, profound and beautiful changes can occur and the expression of the heart in ceremony allows for a greater flow of love with our loved ones. I specialise in taking ceremonies that are spiritual, inspirational and uplifting- including outdoor boho weddings and unique funerals. I am often requested to sing personalised blessings during a ceremony and have the ability to create a sacred space and heart filled ceremony wherever you choose inside or in nature. I have unique gifts to weave into a loving ceremony that include bespoke song and poetry that if required adds to a heart filled, unforgettable and inspirational celebration of you and your loved ones. I have 30 years of experience in leading spiritual ceremonies around the world and would love to share my expertise with you in guiding and assisting the creation of your perfect day. …to celebrate love, and work with people in understanding the joy of ceremony in its many aspects.